Thanks for shopping at Cubico Coffee. If you are not entirely satisfied with your purchase, we're here to help. We have different types of items for sale, and they have different return policies. If your beans are different than what you ordered, please let us know and return the items in their original condition. We will ship you the corrected order as soon as possible once we received the items. Please add your order number. You have 15 calendar days to return an item from the date you received it. To be eligible for a return, your item must be unused and in the same condition that you received it. Your item must be in the original packaging. Please add your order number. Once we receive your item, we will inspect it. We will immediately notify you on the status of your refund. If your return is approved, we will initiate a refund to your credit card (or original method of payment). You will receive the credit within a certain amount of days, depending on your card issuer's policies. You will be responsible for paying for your own shipping costs on your returns items. Shipping costs are non­refundable. If you receive a refund, the return shipping costs will be deducted from your refund. 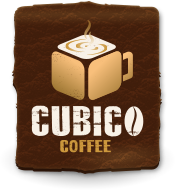 If you have any questions on how to return your items, please contact us at info@cubicocoffee.com. We will be happy to assist you.